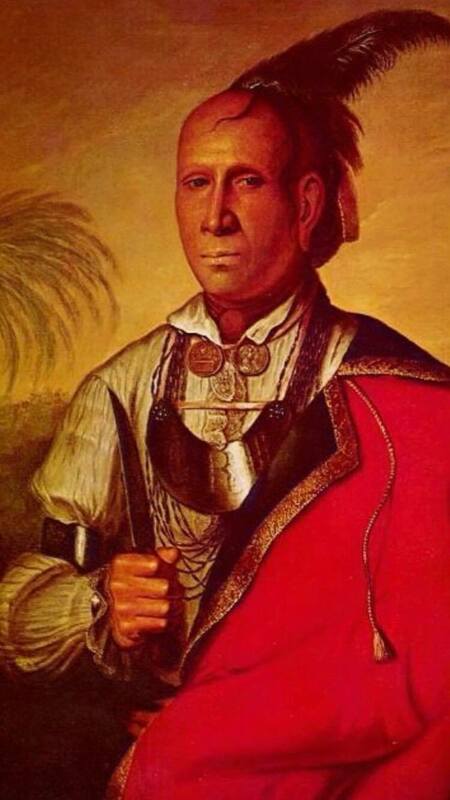 Chief Amatoya Kanagaota Moytoy was a powerful 17th century Cherokee leader, born and died in what is now Tennessee. In translation, he was referred to as “emperor.” Moytoy married Quatsy of Tellico, a full-blooded Cherokee of the Holy Clan. She was also referred to as Nancy in other records. It is a common tome of myriad Native nations that the sacred land should be left not just healthy and thriving for children and grandchildren but for the succeeding seven generations. Seven generations after Chief Moytoy and Quatsy of Tellico came direct descendant Nancy Ann Welch, who was born in 1824 in Ohio. Nancy married Michael Cramer, also an Ohio native. In 1854, the Cramers bought farm land from relatives in Marshall County, Indiana, and were raising a family there before Michael’s untimely death just a decade later at age 43. Certainly the revered Natives from long before couldn’t have imagined life in 1800s, just as Michael and Nancy couldn’t have imagined that their great-great-great grandson U.S. Rep. Kevin Cramer would be running for the U.S. Senate from a state that hadn’t joined the union until a generation after the Civil War. Something else the ancestors probably couldn’t have imagined is the well-earned antipathy North Dakota Natives and environmentalists have for Cramer. In 2013, at a forum on the Violence Against Women Act, Cramer engaged in “a testy exchange with Native American victim assistance leaders.” Cramer later issued a statement apologizing for his “tone and rhetoric” during the exchange. Cramer voted to reauthorize the VAWA but opposed language in the act that would allow tribal courts to prosecute non-Natives “for abusing or assaulting Native American women on Indian land.” Cramer stated, “How could a non-Native man get a fair trial on a reservation?” and questioned the constitutionality of the provision. He voted for an amendment to repeal the provision in question. Cramer continues to support cuts in Supplemental Nutrition Assistance Program (formerly the Food Stamp Program), and attracted controversy in 2013 when he cited a biblical quotation several times in support of Republicans’ efforts to cut some $40 billion from the program over a 10-year period. And on the issue of the environment: Cramer rejects the scientific consensus on climate change. He has said that he would support a small carbon tax if the revenue went to research and development on clean fuel. Cramer has been described by Reuters as “one of America’s most ardent drilling advocates.” Cramer supports an increase in oil and gas drilling on public lands and supports cutting taxes for energy producers. He is opposed to what he characterizes as overreach by the United States Environmental Protection Agency. In May 2016, Trump asked Cramer to draft his campaign’s energy policy. Cramer wrote Trump’s energy plan, which focused heavily on promoting fossil fuels and weakening environmental regulation. The plan also vowed to withdraw the U.S. from the Paris Agreement and repeal U.S. regulations aims at controlling the carbon emissions that cause climate change. The U.S. withdrew from the global climate agreement. All other nations in the world stayed in it. One can only imagine Chief Moytoy’s reaction to his direct descendant’s views and actions regarding Natives and the environment. Sources: Washington Post, Politico, New York Times, ClimateWire, Reuters, Bloomberg Government, Ashley Parker and Coral Davenport, Huffington Post, Grand Forks Herald, Talking Points Memo, the office of U.S. House member Kevin Cramer, Indian Country Today Media Network, Ancestry.com. TONY J BENDER: That’s Life — Do You Know Your News?